The lower chamber of Russia's parliament passed a bill in the first reading toughening penalties for drunk-driving, establishing a four-times-higher fine for repeated offenses and raising the criminal sentence for fatal accidents. The bill was introduced by the chairman State Duma Committee for Security and Anti-Corruption measures Irina Yarovaya from the United Russia party. The bill toughens responsibility for repeatedly committing offenses such as driving drunk with or without a driver’s license. According to the new bill, the fine will be raised to 200 thousand rubles (about $6,500) for repeated offenses. As an alternative to the fine, the deputies suggest compulsory community work up to 480 hours, forced work up to two years or detention up to six months. According to the bill, a fine of 30 thousand roubles (about $920) will be set for driving in a state of alcohol intoxication. A fine of 10 thousand roubles (about $300) will be set for handing over the wheel to a person under the influence of alcohol. In each of the cases, the driver will be deprived of his license for one and a half or two years. 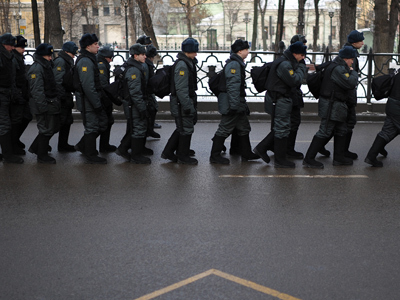 If these offenses are repeated, the fine will be raised to 50 thousand roubles (about $1,630). 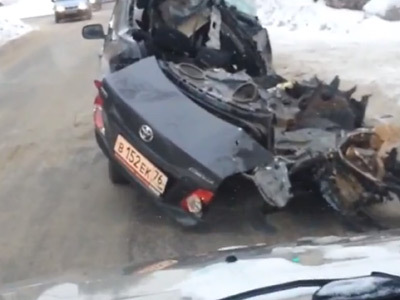 If the drunk driver was caught without a license or he was deprived of his license before, he will be fined 30 thousand roubles or charged with 15 days of administrative arrest if he is unable to pay. In addition, the criminal penalties will be toughened for killing a person while driving drunk, according to the bill. If the victim of the drunk driver dies, then the offender faces imprisonment for a period of two to seven years. For the deaths of two or more people the charges are raised and the offender faces from four to nine years in jail. Compared to the current set of laws in the Criminal Code, the innovation of the bill is the establishment of the minimum time of imprisonment. The bill also excludes the possibility of penalizing the offender by means of community service in cases of fatal accidents. In addition to that in all fatal cases the driver’s license will be revoked for a period of 3 years. 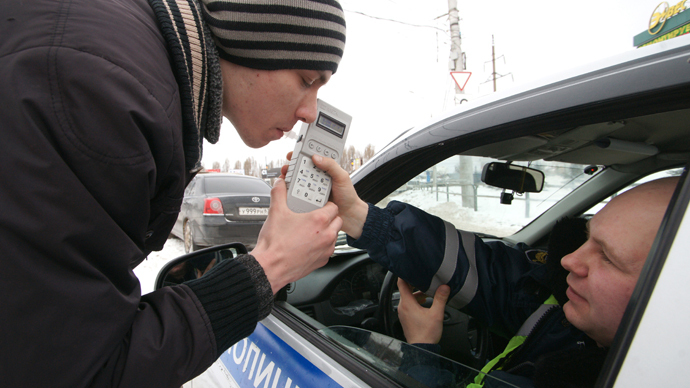 According to Yarovaya, more than 80 percent of Russians think that drunken drivers pose the greatest threat to their life and health, says Interfax. She considers it wrong that currently some of the drivers who were the cause of lethal accidents received only two years’ probation, Interfax reports. But there is much criticism of the bill since the current legislation says only people with 0 per mil of alcohol in their blood are considered ‘sober’. This means people with naturally occurring alcohol in their blood or those taking certain medicines would be considered intoxicated. The alcohol level at which a person is considered to be legally impaired varies by country. For comparison Britain has the permitted level of 0.8 per mil permitted and USA the same number. Criminal penalties for drunken driving can be toughened only if there is a criterion for determining the level of the driver’s intoxication, said First Deputy Chairman of the Duma Committee on Constitutional Legislation and State Vyacheslav Lysakov, RIA Novosti news agency reports. 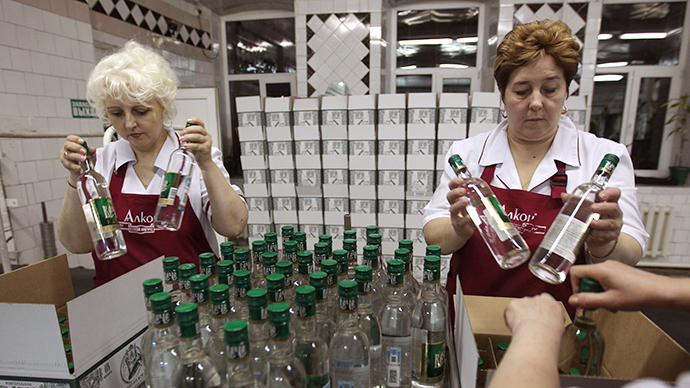 Lysakov proposed an amendment according to which a man would be recognized as drunk if the level of alcohol is greater than 0.2 per mil in his blood, RIA Novosti reports. The amendment was submitted after the bill passed its first reading. 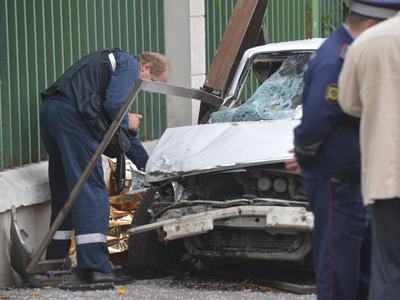 The State Duma has intensified its work on proposals to increase penalties for drunk driving after seven people were killed, including several disabled teens, when a driver ran his speeding car into a bus stop in the Russian capital in September last year. The 30-year-old driver was detained at the scene and later confessed he was in a state of “alcoholic intoxication” at the time of the crash. Several hours after his arrest, the driver was barely able to stand on his feet but still tried to break free. There have been calls to toughen the legislation before. Ad banners were spotted on one of Moscow’s highways with a slogan reading “We are tired of warning you. Don't f**g drink & drive”.